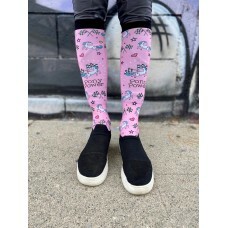 A lightly padded toe that wraps around the bottom of your foot to the back of your ankle, adds cushi..
High performance warm riding sox with functional yarn strategically placed. 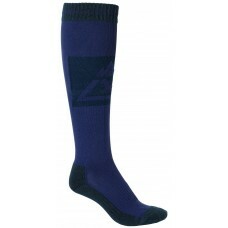 40% Wool, 40% Polyamid, ..
High performance warm riding sox with functional yarn strategically placed where it's needed 60% Nyl..
Socks that Rock! 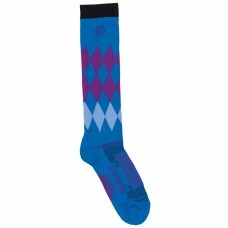 Collect them all for your own distinctive style. 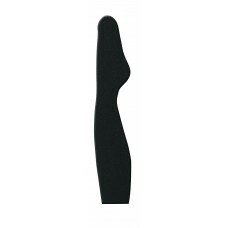 Thin enough to be worn under tall ..
Made of 80% Coolmax fabric, 17% Nylon and 3% Spandex. 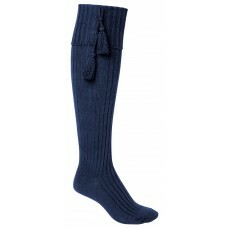 Knee High with arch and ankle support. 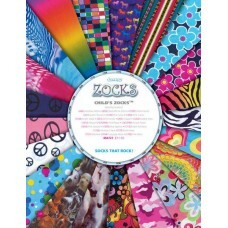 Mid-cal..
Made of 85% Coolmax fabric, 12% Nylon and 3% Spandex. 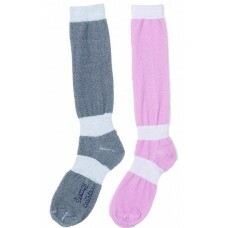 Knee High with arch and ankle support and padd.. The Classic Performance Coat features stretchy, ultra lightweight gabardine fabric. Tailored with tr.. 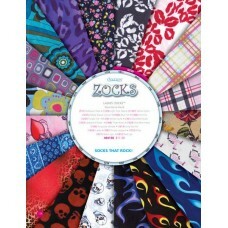 Compression Zocks are designed to keep your legs feeling great all day! Improved circulation with po.. 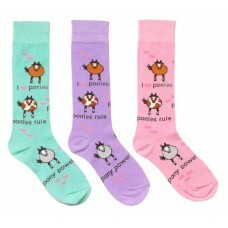 Kids will adore the vibrant galloping pony design of the Neon Pony Kids Socks. 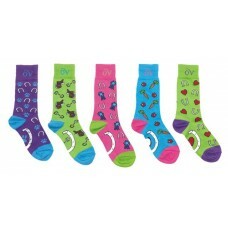 Made with a comfortab..
Add some fun and color to your day with this bright 3 pack! 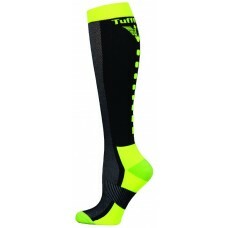 These fashionable socks are made with a ..
Ride cool and comfortable in the New Ventilated Neon Socks. 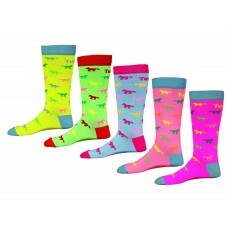 Featuring a smart ventilated design acro..
Stay warm in style with this bright 3-pack! 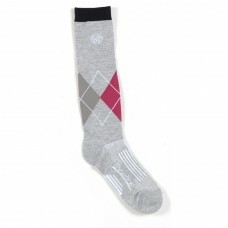 Ultra soft and insulated for comfort and warmth while ri..